Balsamic vinegar and the woodsy flavor of fresh rosemary infused in these pan-seared pork chops; which can be ready in about 15 minutes. The weeks are getting busier this time of year, they always do with all of the birthdays, graduations and celebrations. In fact, I celebrated my great nephew’s 2nd birthday yesterday and he’s such a joy to watch. So inquisitive and active, but a joy! Mine are so much older that you forget how little they once were. 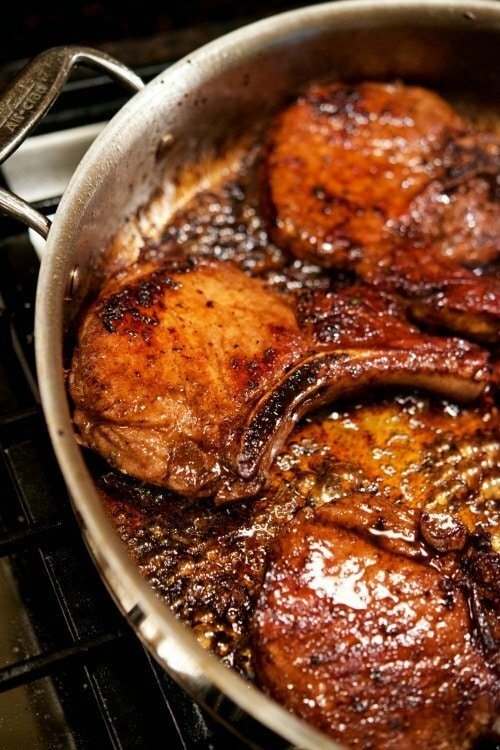 Which brings me to today’s recipe for these Pan Seared Balsamic Pork Chops. Many of us, me included, have so many events happening during the week this month; especially with end of the year school events and parties that we don’t really have time to prepare a labor-intensive dinner. For me, those dinners with a little more work get full attention during Sunday dinner with the family. 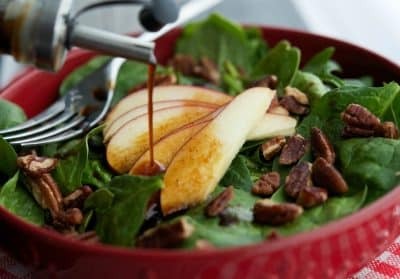 Meals like this are perfect for those nights where you’re looking to get something nutritious on the table without taking a lot of time to prepare. 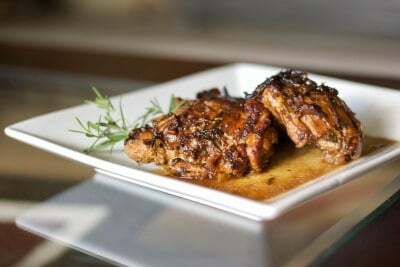 These Pan Seared Balsamic Pork Chops can be ready in about 15 minutes and contain 5 ingredients: pork chops (boneless or bone-in (I opted for center cut bone-in pork chops for this recipe), fresh rosemary, extra virgin olive oil, butter and balsamic vinegar. I say 5 ingredients; however, most of you probably already have butter and EVOO in your pantry already. To prepare, add the oil, butter, and rosemary to a large saute pan over medium-high heat. Place the pork chops into the pan and cook 3-5 minutes per side. The total amount of time will depend on how thick your pork chops are and how you like it cooked. 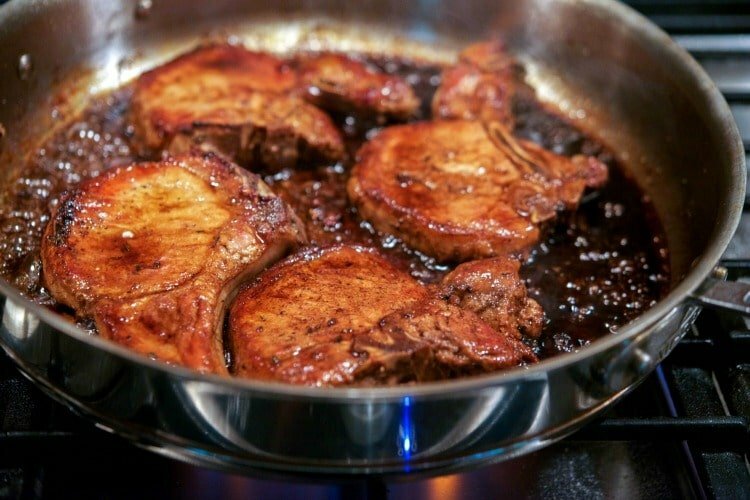 Pork should be cooked to a minimum internal temperature of 145 degrees F ( a little pink); however, we prefer ours more on the well-done side; which is 155-160 degrees F. Once the pork is cooked to your liking, deglaze the pan with the balsamic vinegar making sure to coat the pork on both sides. 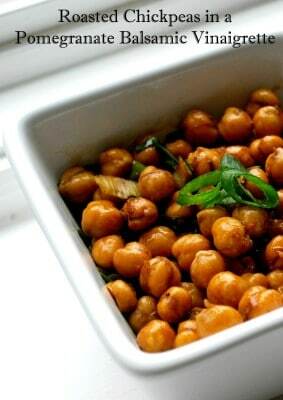 Just look at that golden color and the flavor is out of this world! 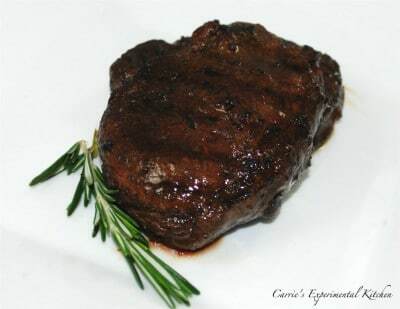 I just love the flavor combination of balsamic and rosemary and use it quite often. It just goes to show that simple ingredients in a recipe doesn’t mean that it’s not flavorful. 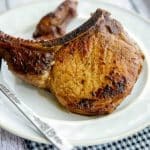 The family really enjoyed these Pan Seared Balsamic Pork Chops so I’ll definitely be making these again. You could also use boneless chicken breasts or chicken thighs (bone in or boneless). 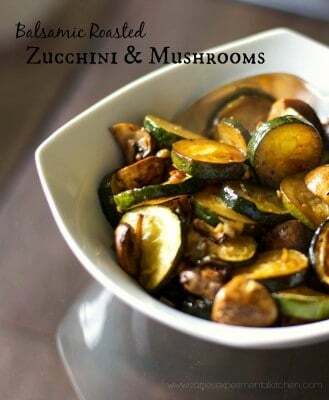 Another added bonus to this dish is that it can be made on top of the stove so you don’t have to heat your house up by turning the oven on; which makes it the perfect weeknight meal during those hot summer months. ~Enjoy! Heat oil and rosemary in a large saute pan over medium-high heat. Place the pork chops into the pan and cook 3-5 minutes per side. Once the pork is cooked to your liking, deglaze the pan with the balsamic vinegar making sure to coat the pork on both sides. 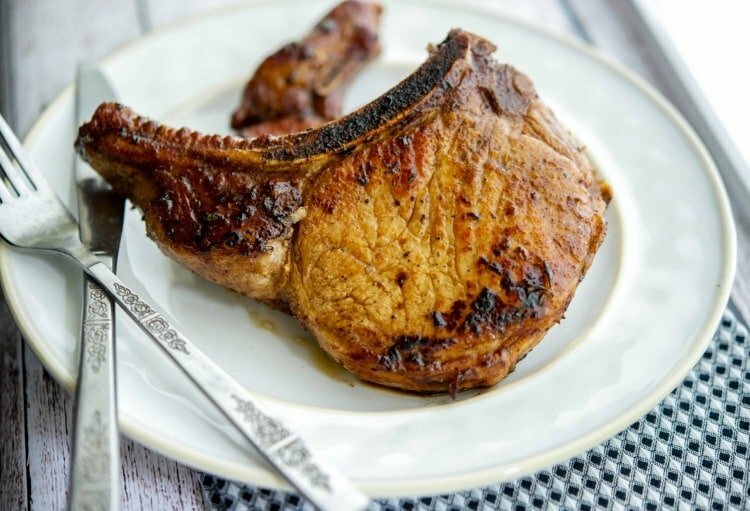 The total amount of cooking time will depend on how thick your pork chops are and how you like it cooked. Pork should be cooked at a minimum internal temperature of 145 degrees F (little pink); however, we prefer ours more on the well done side; which is 155-160 degrees F.
What a great idea for the summer. Putting balsamic on meat really creates a great flavor. I have never had balsamic on pork before so I will have to give this a try! 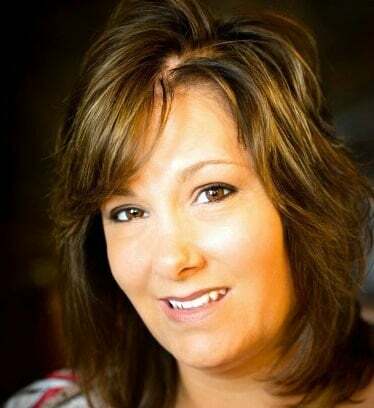 We love your blog and recipes. Would you be interested in teaming up with Chicory and becoming a recipe partner? Thank you Amanda, but I’m not interested. I did try it for several months already. 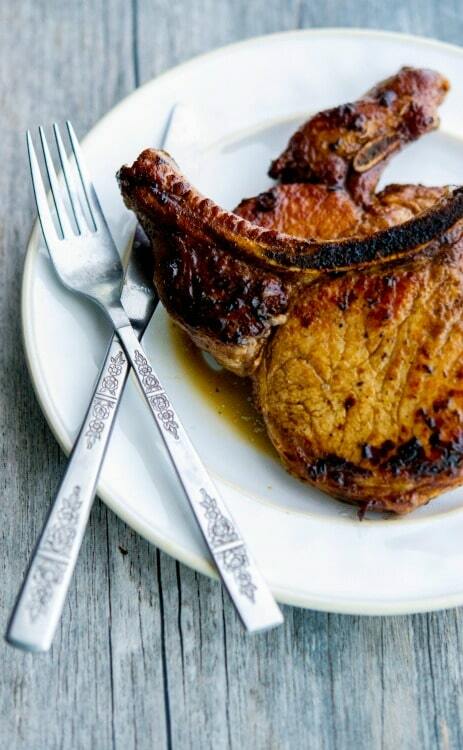 These pork chops are incredible. The balsamic compliments the pork so well. Thanks Pam, I’m so glad you enjoyed them.